Congratulations to Kim Smith, Hans van Kregten and the other Council staff for the Eastland Traverse being selected to proceed to the next stage for consideration as part of the Prime Minister’s National Cycleways Project. 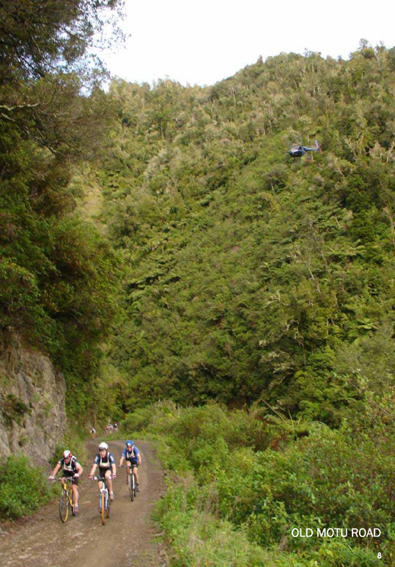 The quality of the proposal reflects the input from tourism operators, cycling advocates, DOC, councillors and our friends on the other side of the Waioweka Gorge. If we can get this cycleway established it will be a significant visitor attraction, supporting economic development all along the route and into the city all year round. While there are no guarantees that the Eastland Traverse will receive central government funding, it is still a good example of what can happen when local government works collaboratively with the community to develop the best options for the region. The costs of improving the signage and a few bridges on the Opotiki side are a fraction of other cycleway proposals and offer great value for a small investment of public funds. The establishment of the Cycling Advisory Group one year ago was fortuitous as we have been able to provide Council and other stakeholders in the region’s transport systems with timely advice on a range of issues and plans. Making it easy and safe for people to cycle to work and school is one of the key goals of the Cycling Advisory Group. Driver and cyclist education, road design – particularly roundabouts and key areas around schools are all activities that the Cycling Advisory Group has assisted local authorities with over the past year. This week we are looking at how cities in Europe have changed the way they think about roads and set targets for increasing the proportion of short trips that are made by cycling instead of driving. Gisborne District, Northland and Taranaki now share the lowest rates of cycling in the country. People living in Christchurch cycle more than ten times as often as we do. I suspect we don’t have ten times the crash rate as them. What is our vision for our city and how does more cycling and walking (which we also follow the rest of the country in) fit into the urban design of Gisborne? In Wellington the Council has a goal of 15% of commuters cycling by 2016 – Gisborne has a much more compact city, few hills and much better weather, so this could be a goal that we aspire to surpass within the same timeframe. Establishing safer cycling routes is a priority for the Cycling Advisory Group and we welcome suggestions from the public on how to improve hot spots. Our monthly meetings are open to the public and limited to one hour over lunchtime. Together we are crafting a vision for cycling in Gisborne and everybody has a part to play in this process.